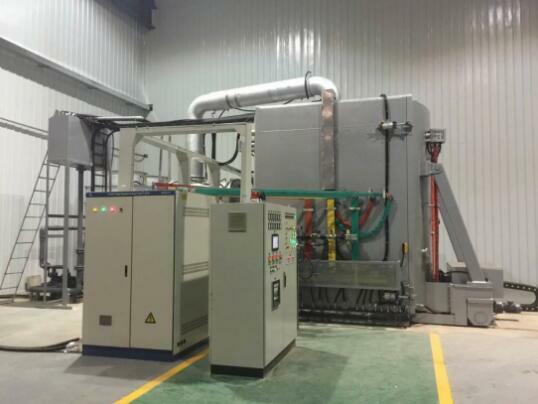 Model RVT-141435 High Vacuum Tempering Heat treatment furnace is a single chamber horizontal type.It is used for the tempering heat treatment process with the convection heating. Control system consists of PLC control and Intelligent temperature controller to control temperature,which is accuracy and high degree of automation. It can enable automatic / manual switch without disturbance, simple and reliable operation, energy saving, pollution-free to the environment. Model RVT-141435 tempering furnace is applied for tempering,annealing and aging process of tool steel ,die steel ,high speed steel. After the heat treatment process,the work piece surface is light with small deformation.